Propaganda saturates the national news. Fights break out everywhere, robberies rise and violent crimes increase—our country is imploding from within. One lone woman discovers the military has its own agenda—and she’s unwittingly given them the power to destroy society as we know it! Stacey Anderson designs all the drones and defense systems for the military. While working on the latest project, her gut instinct tells her something is very wrong–people are being implanted with microchips. She calls her boyfriend, Lt. Benjamin Fox, when all heck and hot air breaks loose and she finds herself on the run with a stranger she must trust for her survival! Lt. Benjamin Fox is nobody’s fool. He realizes his sudden promotion and Stacey’s disappearance are connected. Determined to save his girl, he gets help from friends Stephanie and Bill never realizing the depth and breadth of the evil that’s quickly invading the country with the mandatory implants. 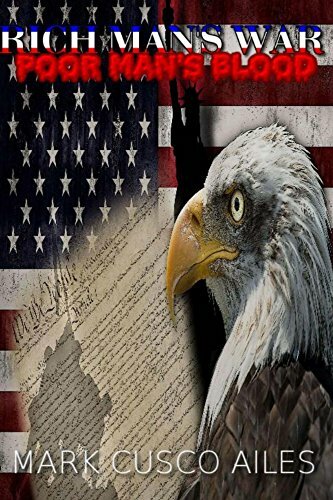 As he follows the trail to the highest echelons of the government, Benjamin wonders if this is the beginning of end time Biblical prophecy…and the mark of the beast!